Sunday 19th was the Ballarat Ham radio clubs annual Hamfest!. 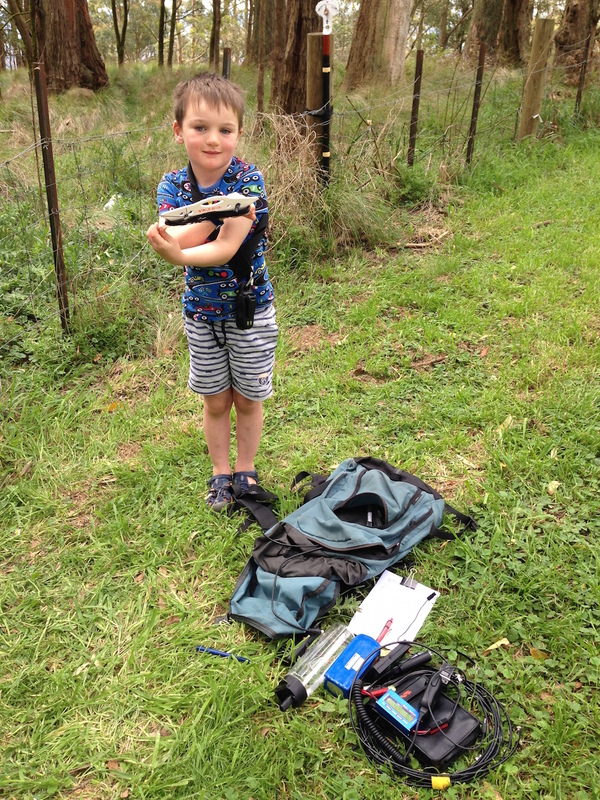 I had walked past an item at the event last year and regretted it, so packed up the car and grabbed my big child Nathan, and we went for a daddy/son day out – road trip – Hamfest – Sota Activation!. 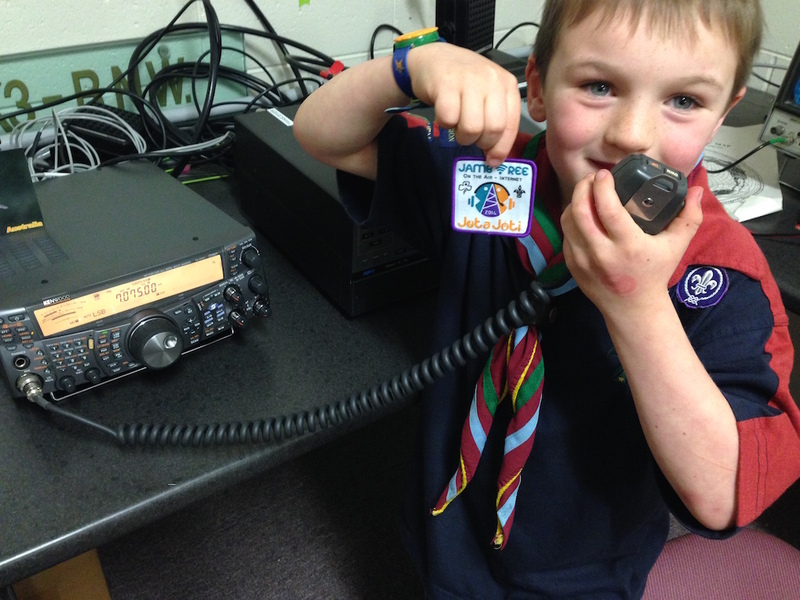 Nathan had a busy radio weekend , participating in JOTA saturday afternoon as well. We will have to work on his F call!. Though at 6, he is still a little young! We had fun at the Hamfest, a number of people said hello to Nathan, having heard him in the car or in the background when I have used the radio or activated sota, I’m sure he was a little surprised so many people knew who he was.I found the item i was after, and then we had a special lunch before a play in a local ballarat adventure park before a trip unto Mt Buninyong VK3/VC-018. I have worked this summit previously this year so the activation points didn’t count, but I enjoy portable HF and decided to activate it again just because. We arrived at the summit to a SOTA traffic Jam, Given how near to Ballarat this mountain is, a number of Hamfest attendees had the same idea and had made their way up to this summit. Nathan and I gave the set up operators some room and went for a walk to the look out tower and then out of the activation zone before we set ourselves up away from the others beside the lookout tower base. Conditions were woeful! and thats being nice!. An X Class solar Flare was crashing into the earth as we set up and HF was stuffed. All of us struggled to get even 4 contacts! See the below video for an idea of its impact! It took a long time to get my four contacts, but I did manage, trying 20m and 40m and SSB and CW, I even called on FM 2m. By this time Nathan had had enough and wanted to pack up, but we made 4 contacts, including one S2S and headed home. ← Strange link dipole shenanigans? I set up in the Aldinga Scrub Conservation Park right in the middle of the CME. I only managed 4 contacts as well, and they were really hard work. I tried both 40m and 20m and both were DEAD!